It's Tarot Tuesday! Here is today's big reveal! 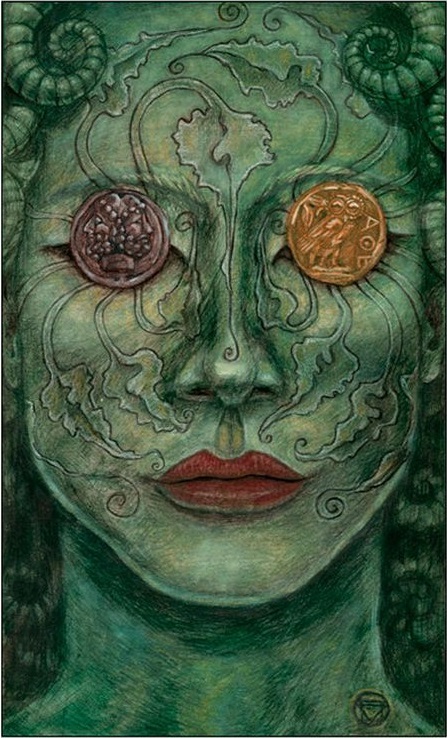 The 2 of Pentacles is a card about balance, often also about partnership. You are likely to be trying to keep two broad areas of life (money and health, love and work, etc.) in balance. This card is generally considered to be a positive omen. It's all coming together now. 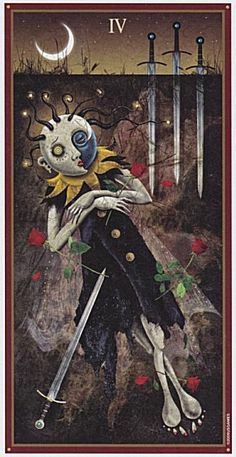 In the present position, the card indicates that you are currently at repose. This could be an indication that you are escaping life or certain responsibilities, or simply that you are on a well-deserved vacation or are listening to your body and slowing down to avoid stress. In general, this card usually means that you are needing some time and space to yourself. Others may be pushing too hard for bits of your time and attention. Don't hesitate to draw boundaries for yourself or to say no. Conversely, when others say no to you, take them at their word. Pushing in this circumstance is asking for trouble. 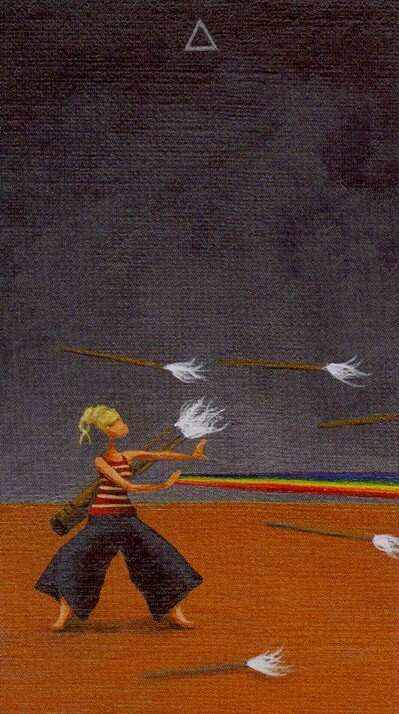 The Eight of Wands in the present position is an exciting place. Look around – this is a golden opportunity of a time for you. Things are going your way. Sometimes we are so used to plodding through oppositions and setbacks that making strides and fulfilling goals creates an anxiety because the familiarity of failure is replaced by a strange success. 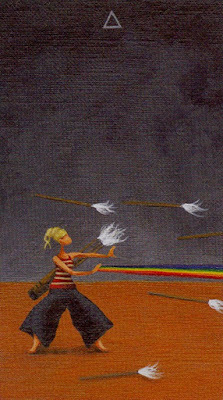 When the 8 of Wands arrives in your day, know that something is about to happen that will fill your heart with a smile. Messages could be important when you see this card. Don’t be surprised if something wonderful, or a sweet loving message comes to you out of the blue. You may be offered an invitation to travel, or a lover may literally show up at your door unannounced. Wands symbolize Fire Signs, and this could be an old flame or a twin flame making themselves known. Quick messages like those you find on social media can also be represented by this card, and they are always good messages. Are you feeling at peace? Are you having lucid intuition and want to check out your hunches? Have you conquered anger with love recently? Did your patience win in the end over the rash decisions of a close friend or lover? Can you tell what others are feeling and help move them toward being all they can be? Has logic taken a back seat to matters of the heart and been found unnecessary in dealing with the world? 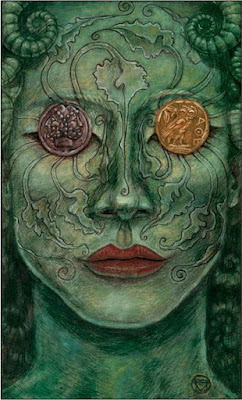 All of these circumstances contribute to the Queen of Cups emerging in your Tarot reading. The Queen of Cups is among the most loving archetypes in the tarot deck. She indicates compassion, love, and concern for ourselves and our fellow man. Often when the "court cards" come up in a reading, they indicate an actual person, in this case a woman, in our lives. 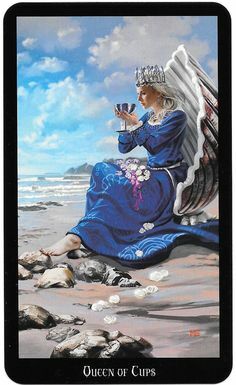 The majority of the time when the queen of Cups appears, and is "standing in" for a person, she is representing a female with hair on the lighter end of the spectrum. Generally, the Queen of Cups indicates female energy that is solidly "in your corner," that women in your life are very much supportive of you and/or that a woman will come to your aid. The Queen of Cups also reminds us to treat ourselves with love and compassion. No matter who and where you are, there are things in you that are worthy of love and respect. How did you do? 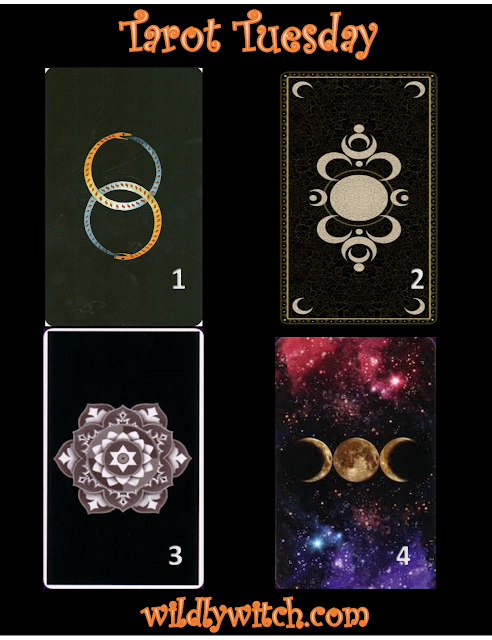 Did you notice that each of the cards represented one of the suits of the Tarot? How does that relate to you this week? As always, I want to hear from you. Please leave a comment below, or on the Facebook page (which is where most of the action happens). Let me know how you're doing. Are you struggling with anything? How can I help? Remember, this is a tool to help you hone your own innate intuition. Hang in there, wildlings!